In early October the Jobs Summit ended with an ambitious agreement that entailed a target of creating around a quarter of a million new jobs annually. 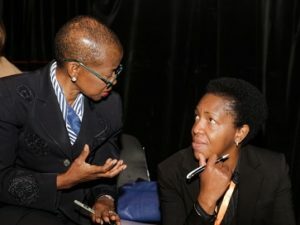 This was followed by the fifth annual Accelerating Inclusive Youth Employment conference, convened in Stellenbosch towards the end of October, by Harambee Youth Employment Accelerator, the Presidency, the Human Resources Development Council of SA, Yellowwood, and the Mapungubwe Institute for Strategic Reflection. 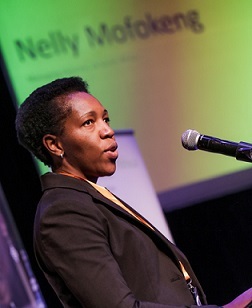 JA South Africa MD Nelly Mofokeng was one of the 250 leaders from business, government, labour, and the social sector who came together to shape a path forward to ensure that more youth are empowered to be employed or to create self-employment. Currently R200 billion is spent each year by government and the private sector on training and skills development but the conversion rate to employment doesn’t even reach 10%. Thus, educational initiatives need to result in more youth being either employed or empowered to self deploy. In the spirit of seeking inclusive solutions, young people shared their stories and were part of the discussions. A primary takeaway from the event was that tackling the challenge of inclusive socio-economic growth will entail a diverse range of coalitions that come up with scalable solutions. Factors that contribute to the constraints or support the participation and progression of young people can include the intangible cost of seeking employment, such as data and telephone costs, transport to an interview etc. Aspects of the Jobs Fund were discussed, which included the funding window, supply and demand, the success stories and the challenges. The recently launched Youth Employment Service initiative was also on the agenda, with an overview of the progress made thus far provided. 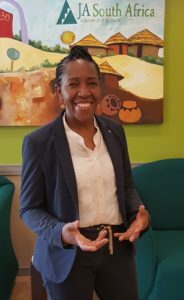 In terms of digital skills, the plan to increase foreign direct investment over the next years could entail the burgeoning of good jobs in contact centres, data centres and knowledge, which means digital skills will become more in demand, CEO of Business Leadership SA explained in an article on Business Live. Youth need to be groomed as coders, data analysts, data scientists and software engineers. 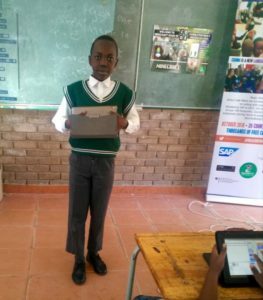 In the JA South Africa Youth Enterprise Development Programme, partner Siyafunda provides ICT training and our pilot five-year project with the Standard Bank Tutuwa Community Trust includes coding workshops. We are currently looking at other potential pilots to provide digital skills as part of our programmes. 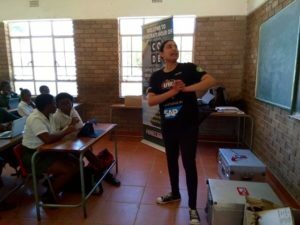 Finding innovative solutions to the problem of youth unemployment has become imperative and JA South Africa will continue to participate in these important events. 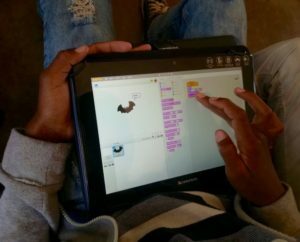 Posted in Entrepreneurship in education, Featured News, STEM2D.